Padma Shri awardee Prof. (Dr) J M Hans, is a topper and medalist from PGI Chandigarh. Dr. Hans has done pioneering work in the field of cochlear implant surgery and has done more than 1500 cochlear implants in his centers around the country and in SAARC countries. He is the Founder Member of the Cochlear Implant Group of India. He is currently Chairman& Director of Dr. Hans Centre for ENT & Cochlear Implant and Chairman of Dept of ENT and Cochlear Implant, Venkateshwar Hospital, Dwarka, New Delhi. He is Honorary Consultant to Ex-Prime Minister of India. Dr. Hans is Government Member to the Ali Yajur Jung National Institute for Deafness, Mumbai. The Government appointed him as Executive Member of the All India Institute of Speech and Hearing, Mysore. He is appointed Member to the National Program on Prevention and Control on Deafness (NPPCD) and Advisor to UPSC and WHO. 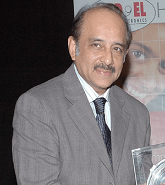 He pioneered the minimally invasive technique for Cochlear Implantation in India. He is also advisor Cochlear Implant Surgeon to Pingalwara Trust in Amritsar. He is visiting cochlear implant surgeon to the Medical Colleges of Chattisgarh, Andhra Pradesh and Madhya Pradesh, PGI Chandigarh etc., to perform CI surgery on deaf and dumb children. Member of ADIP, Committee of Cochlear Implant, Govt. of India and Executive Council AIISH Mysore. Dr. Alka Ashmita Singhal is one of the reputed Consultant Radiologists in the Delhi-Gurgaon regions. 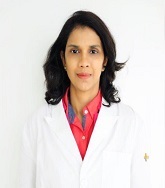 Dr. Alka, who is presently a Senior Consultant in Radiology at Medanta Division of Radiology and Nuclear Medicine, is currently in-charge of Radiology at Medanta Cybercity Mediclinic. Dr. Alka has trained in Medical Ultrasound from the ASUM, University of NSW Sydney Australia, and has also acquired advanced Doppler and Musculoskeletal Ultrasound Certification from ARDMS Maryland, USA. She is also referred by physicians for review of ultrasound cases and accurate documentation. Dr. Alka's medical career started with her completing MBBS from the Sawai Man Singh Medical College and Hospital, Jaipur in 1998. This was followed by a Postgraduate Diploma in Radio diagnosis from the same college. Later, she did A.S.U.M - Australasian Society for Ultrasound in Medicine in Sydney, Australia. She also holds a certificate from the American Registry of Diagnostic Medical Sonography in Maryland, and the American Registry of Diagnostic Medical Sonography USA. •Specialist in Doppler, Neck-Parathyroid, MSK, OB GYN 3D 4D, & all Ultrasounds •Advanced Colour Doppler & RMSK Certification from ARDMS ( USA) •ICRI, IRIA, ARDMS, MUS, CARDUP, IFUMB, ASAR, &FMF Member. 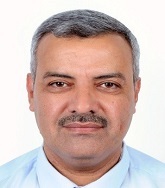 Dr. Ahmad Nasrat Al-juboori has completed his PhD since 1997. He was graduated from Iraqi Board of Otolaryngology (1997), and from European Board of Otorhinolaryngology, Head and Neck Surgery since 2015. He was former consultant ENT surgeon and professor in clinical otolaryngology in Al-Iraqia University, Iraq till 2015. Now he is working as Associate consultant in Hamad Medical Corporation, Al Wakra Hospital and Assistant Professor in Weil Cornell Medicine-Qatar. 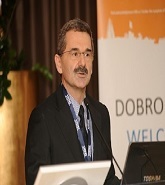 He has published more than 22 papers in reputed journals and has been serving as an editorial board member and reviewer in 5 of reputed journals. Hesham Elmashad has completed his M.B.B.CH. in Dec. 1985 from Zagazig University and his MD. from Elmenufya University School of Medicine in 2001. 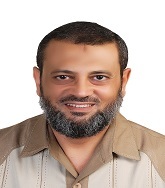 He is the Medical director of Makkah Institute for Speech and Hearing (MISH), a premier Bio-Soft service organization. 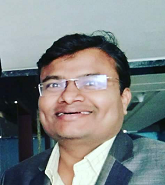 He has published many papers in reputed journals and has been serving peer reviewer. # Pediateric ENT, especialy delayed language development (DLD) and hearing assessment in this age group, # Sleep disorders. # Endoscopic Nasal Surgeries.